The kitchen is the gathering place in your home. Friends and family prepare meals there. Coffee is shared. Mail is read. Homework is completed. It’s the heart of the home. When you think about your kitchen, what comes to mind? Is it welcoming? Does the color scheme match? Maybe you love it but are ready to try something new. 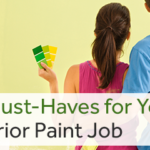 Whatever the reason, it’s time to paint those kitchen cabinets. Give your kitchen a new flavor! 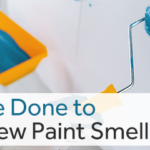 A fresh coat of paint is an easy and inexpensive way to update your style when you consider how much replacing the kitchen cabinets would cost you. 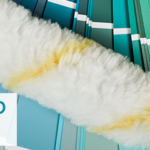 Let’s look over some popular colors that are trending now. This light green color brightens up space and reflects any light colored surfaces, such as a backsplash. 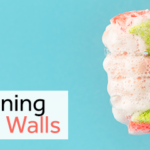 It makes your kitchen look muted, but bright. It also softens the look of any hard edges, giving it a vintage feel with a modern style. We’re not going for the slate color that looks like a stormy sky. This grey is so light, it almost looks like a soft brown color. The dark aspect of it gives the cabinets a uniform look and also gives a traditional feel while remaining casual. Instead of using a dark blue, which can make the kitchen looked closed in, use a lighter version. If there are light colors used in combination, you could get a coastal vibe that looks welcoming, but not overwhelming. This color is neutral; a muted green blended with a touch of ochre yellow and brown. It’s a sandy look with a small dollop of color to keep it interesting. Sage green a delicate color that doesn’t over-power and blends with nearly any décor. It can really tie the kitchen in with other hues in your home. This is for the bold! It gives a clean, crisp look that has “modern” written all over it. You can lighten it up by using orange zest with softer, light colors. To make it more formal looking, pair it with darker colors to give the look of elegance with a pop of color. Pair it with grey and you can’t go wrong. Yellow is a classic, but choosing the right hue can make all of the difference. Creamy yellow gives a soft, old-fashioned look with a modern twist. The buttery, rich color has a nostalgic vibe while remaining up-to-date. By itself, it lends an essence of elegance and tends to hide smudges better than lighter colors. If used in high traffic areas, scuffs and other marks stay virtually unseen. This is the perfect color to choose if you’re looking for sophistication and going for a darker, more intimate look. White never goes out of style. It’s a perfect match for an open, unblemished, and crisp look. Depending on how you use it, the kitchen cabinets can look like they are standing out. Pair it with new iron hardware to really give your cupboards a fresh yet timeless edge or use it as a trim against another color for a noticeable contrast. Color combinations can be so much fun. You can create nearly any atmosphere with a few strategic brush strokes. Consider colors that take you out of your comfort zone. By The Sea. Use combinations like sandy brown and light blue—with the lighter color up top. Bold Country. Consider a deep red with sage green. Paint middle cabinets the green color and use the red as accent points, with just a couple of the cabinets painted for a stand-out kitchen. Natural. A leafy green color paired with bright white give a crisp, natural look to your kitchen. Use the green to inject a fresh feel. One of the best color combinations isn’t really a combination at all, but using different hues of the same color. If you like the classic blue color, use another blue tint to set it off. Paint the upper cabinets a softer hue than the lower cabinets for a streamlined and complimentary look. At Atlanta Painting Company, we have professional color consultants on staff to help you find the perfect color and type of paint for your project and budget. We understand your house is your home and we will always treat your space with respect. We also offer FREE in-home estimates. All you have to do is tell us what you need and we will do the rest. Your quote will cover all specified paint colors, materials, and pricing. 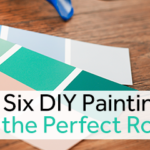 We have dependable, professional, and experienced painters, trained foremen, and regular communication from the project manager, so you’ll always know where we are at in the project. Visit us online and find out more about our easy financing options.